Dr. Michele Baggio will be joining the department this Fall as an assistant professor. He graduated with a PhD. in Agricultural and Resource Economics from the University of Maryland in 2012. Since 2010 he has worked as a senior researcher and lecturer at the Swiss Institute of Technology (ETH) in Zurich, Switzerland. He is an environmental and natural resource economist who specializes in studying causes and consequences of ecosystem changes in the context of aquatic ecosystems. 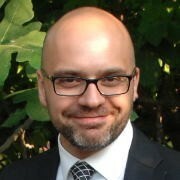 Professor Baggio has published articles in the American Journal of Agricultural Economics, the Journal of Economics, the Journal of Agriculture Economics, and has several papers under submission. The position he fills is a joint position with the Maritime Studies Program in Avery Point.